$250,000 in a year. $50,000 is a good tax free salary just for waiting 365 days. I’d actually say it’s most important to love yourself. Until you’ve mastered that you won’t know how to love someone else or know how it feels to be cherished. Waterfalls. Fields of wildflowers as far as the eye can see. A day long light rain soaking through the grass. The bowl of fruit sitting on a countertop. Working with old pictures in iPhoto. Anything is possible. 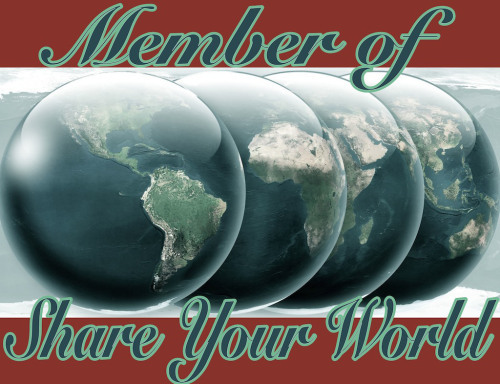 Cee’s Share Your World is her weekly Monday prompt. I’m a bit tardy this week. You have some real wonderful shots. Thanks for sharing. More than $250,000 I think I’d like to be able to do that back flip like karate kid. Skills!